Teat yourself to the beauty, elegance, class and pageantry of Murano glass beaded jewelry from the glass capital of the world, Murano Italy. From the 1200 AD till today, Murano glass jewelry is still hand crafted by highly skilled glass makers in small studios, while the mass produced products, such as stemware generally come from one of the many glass factories found on the island. The world famous Murano glass makers have been honing their craft for centuries. What probably started out as a need for glass products has turned into world renown glass art. 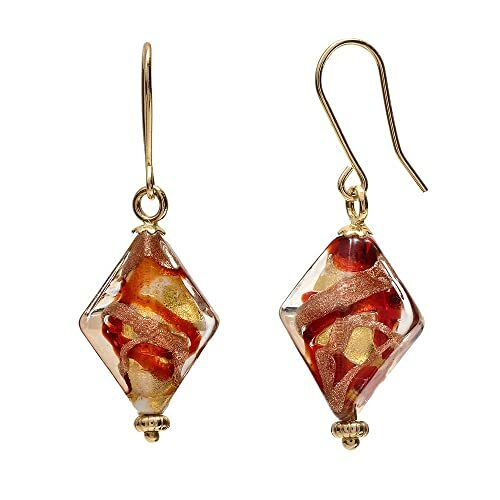 Elegant Murano glass jewelry adds a sophisticated touch of Venetian style to any outfit. The varieties and versatility are guaranteed to please, and the fabulous styles run the gamut from casual to exquisite. If you fancy yourself creative and love unique jewelry, why not buy loose beads and make your own special Murano glass beaded jewelry? The skilful glass makers in Murano make the glass beads, but many of them do not create the jewelry. They sell the glass and the jewelry itself is assembled by other craftsmen, often not located in Murano. This doesn't mean a brilliant Murano Glass beaded necklace assembled in the U.S. is a fake. 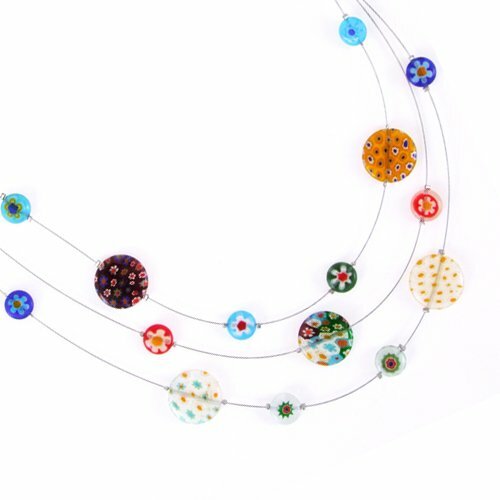 If the glass was made in Murano, then it is an authentic Murano glass necklace. The internet has many reputable dealers from all over the world selling authentic Murano glass. These companies specialize in bringing you the the best handmade glass beads, with hundreds of exclusive and unique styles. That is what makes handcrafted glass beads so special – no two pieces are ever exactly the same. The artisan may take a breath at a different time, or the temperature, although carefully monitored, could fluctuate slightly, creating a new bubble or wave. 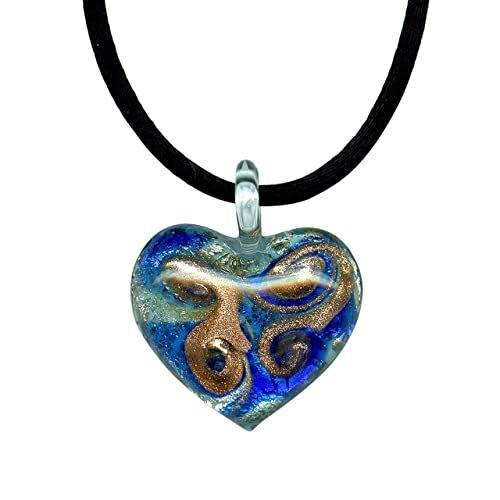 If you can't find the shape you are after, custom designed shapes are also available from some Murano glass dealers. The color possibilities are also endless. These beads are available in every color imaginable and in every color combination. And since the glass is handcrafted, you will never find two beads or two pieces of Murano glass beaded jewelry exactly alike. Blown Murano Glass Beads: Even in this age of high tech everything, glass is still blown by mouth. Murano glass makers still use the ancient techniques that make Murano glass so special and unique. Using the filigrana technique, canes of transparent colored glass are fused together, then carefully rolled on the blowpipe. From the long bubble, a series of beads are formed. The exceptional colors and quality is unmatched. Focal Murano Glass Beads: These beads are typically larger, statement making beads which are turned into elegant and bold pieces of jewelry. They are only made by the best glass makers as they require a greater amount of skill and experience than smaller varieties. Who Is Murano Glass Beaded Jewelry For? Anyone who loves jewelry will love Murano glass beaded jewelry. The way it sparkles and shines is certain to delight even the pickiest person. The best part is that each piece is totally unique. So, if you want to give a truly one of a kind gift to someone, or to treat yourself, Murano glass beaded jewelry is the perfect choice. Murano glass is not just for jewelry. Artisans create many fabulous gifts and accessories out of this special glass, as well. There are figurines in every shape and style from apes to zebras, and everything in between. You can find drinking glasses, angels, Christmas decorations, perfume bottles and fabulous hand blown globes. It may be totally unique, but after all, it is still glass, and that means highly skilled glass makers can turn it into anything imaginable. And since it is glass, you will find plenty of fakes. Only glass made on Murano Island is real Murano glass. For the real thing, only buy Murano glass beaded jewelry from a reputable dealer and make sure it comes with a certificate of authenticity.